Learn How To Create Amazing Photo Art Compositions With Only an iPhone, iPad, or Android Phone or Tablet. This course is going to change how you approach your art — and, if you immerse yourself in it, how you approach every day of the rest of your life. Two reasons. First, when you learn to create serious art with nothing but your smartphone or tablet, you are henceforth free to create art ANYwhere, EVERYwhere. You will have everything you need to shoot and edit and composite images right there in your pocket. Art is literally at your fingertips every minute of the day. Second, with the app-driven capabilities now inherent in that gadget you're carrying around, the art you can create is substantial. And learning to find beauty and enchantment all around you, and learning to capture that and use it to create serious works of art with nothing but your smartphone or tablet, is precisely what this course is about. 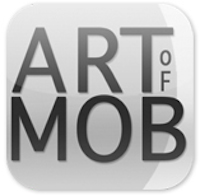 ART of MOB is the website of passionate iPhone photographer, Geri Centonze. 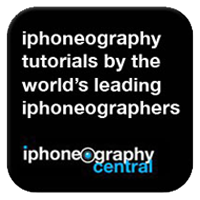 As a fan and practitioner of iPhoneography, Geri shares tutorials, interviews, app reviews, giveaways along with stunning images created by mobile photographers around the world. 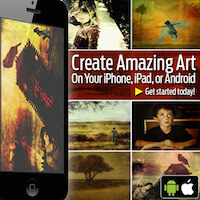 Visit iART CHRONiCLES for tutorials, giveaways and interviews with amazing mobile artists. 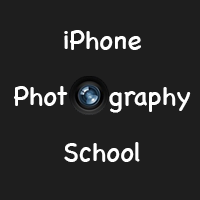 IphoneographyCentral is about learning how to create stunning images on an iPhone, iPad and/or iTouch. Here you can learn and share the latest creative effects, tips, tricks and apps from the best iphoneographers in the world with step-by-step tutorials aimed at both the beginner and experienced image maker. If you have an iphone and want to make great photographs and art, iPhoneographyCentral suggests some great apps to get you started. This is the website to learn and share. Packed with easy to follow tutorials from leading iphoneographers, they will show you how to create breathtaking images. Learn how to lighten, brighten and transform your images into works of art. This resource is suitable for all levels from both newbies to professionals. iPhone Photography School is a website dedicated to helping people take and edit stunning photos with the iPhone. Created by a passionate iPhoneographer Emil Pakarklis, iPhone Photography School provides iPhoneography tutorials, interviews, weekly photo contests and a free iPhone photo editing video course. Italianeography is the 1st and main Italian Blog dedicated to Smartphone Photography and Videography. Since January 2012 we offer a wide range of content, publishing articles for all operating systems, such as Apple, Android, Windows Phone, Blackberry and Symbian, and lots of other such brands. We review products, applications, write about news, events and much more. Furthermore, we dedicate ourself to showcase and promote Italian Mobile Artists through our pages and social networks with picture rewards, articles, biographies and more. We have gained an excellent reputation and we are increasing viewers all the time, also due to our constant passion for Art and Mobile Photography.